There has been a lot going on in the world of Commodore Pet disk drive replacements, following a number of years where there were no options currently available, soon there should be a number of new products on the market. 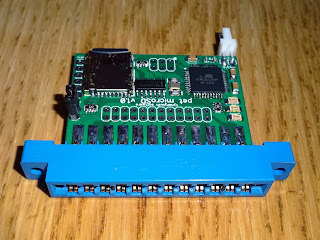 In the absence of anything currently in production, I had looked at the petdisk design and built a board with an improved processor and SD card interface, but which could still run petdisk firmware. 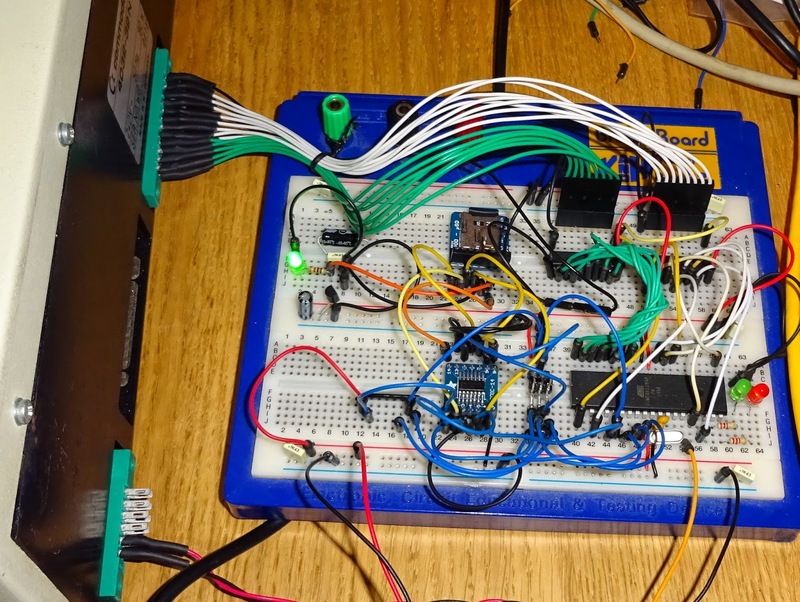 I wasn't keen of the use of diode droppers to attach the 3.3V SD card to the 5V microcontroller, so I had used a 3v3 regulator and a level shifter. I made a few of these and they worked, but the petdisk firmware limited what it could do, so I started writing new firmware for it. 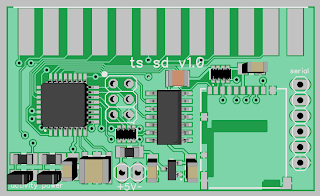 In the comments on my posts about the PCB version of this, several people suggested I look into PetSD. Pet SD is no longer in production, but was a SD storage system based on SD2IEC, the SD card IEC disk drives that are very popular on the Commodore 64. This gives it support for various commands and file types not supported on the petdisk, and .d64 disk images etc. 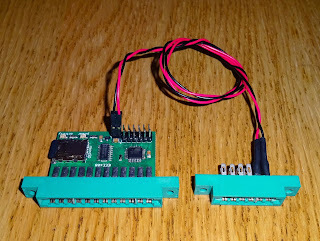 The original Pet SD had proper IEEE-488 bus drivers, an ethernet interface, USB-serial interface, real time clock, LCD display etc., I had ruled that out when looking around initially, and started instead with the simpler solution. It seems several people were interested in bringing that back, and had been working on new versions. 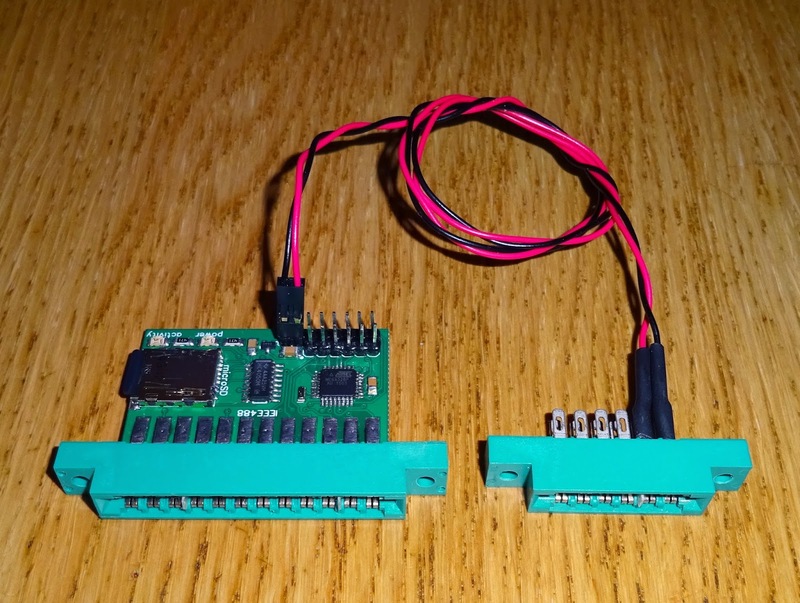 PetSD+, a respin of this, without the ethernet and USB, and PetSD duo, an even more ambitious version with a larger LCD display and an IEC interface for Commodore 64 computers. 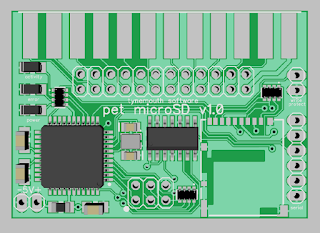 So I'm now looking and producing a cut down version of Pet SD, in a similar form factor that the ones I've previously built. Announcing the Pet microSD. I wanted to keep it the same sort of size as my previous board and also attached directly to the edge connector. The new design does have a lot more going on, and the original board is considerably larger. I've replaced the components with surface mount version, which reduces the size quite a bit, but I have had to go for a double sided load, and moved some of the parts to the back of the board. This has got it down to a similar size, the final version being 50mmx35mm. The pet microSD does not have the ethernet or USB interface, although serial is there for debugging and possible future use. There is no display or real time clock, but it does have the level shifter SD card interface and proper IEEE-488 bus drivers, so can be used with other IEEE-488 disk drives attached. 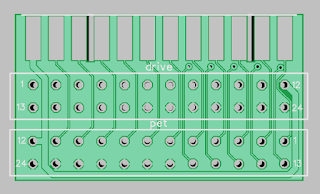 There is a pin header which can be used for internal mounting in 8296 and early 4000 and 8000 series computer which have a 24 pin IEEE-488 header on the board. 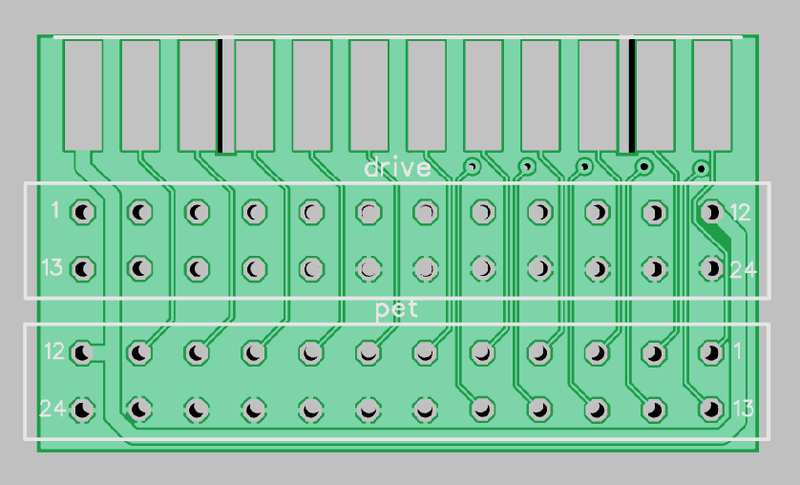 I've also designed a riser board which will allow this to be installed inside an 8032-SK or an 8096-SK. This will plug into the pet motherboard, the Pet microSD will plug into that, and the original IEEE-488 edge connector will plug into the top. There is also a version with the drive connector reversed which will allow a passthrough on the rear or a 4000 or 8000 series. These can also be used to mount the Pet microSD vertically on the rear of a Pet, rather than sticking out horizontally. 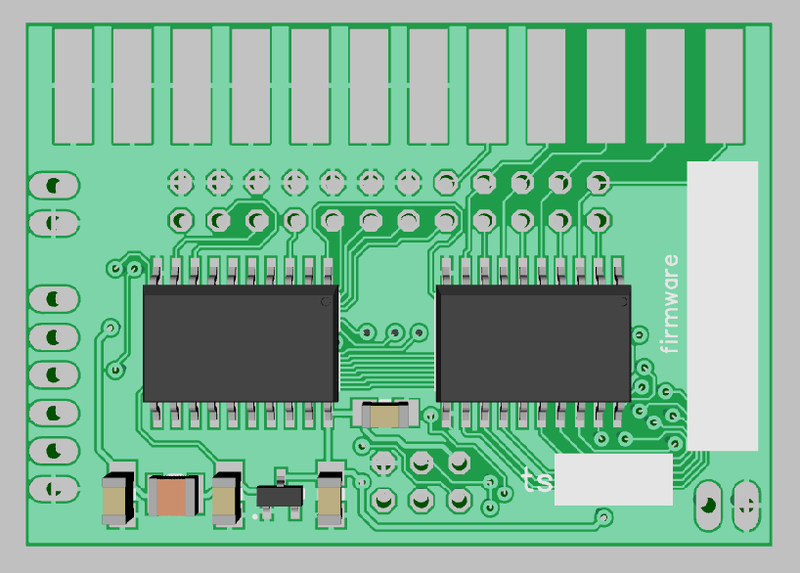 I'm also trying to source connectors that will allow you mount the pet microSD on the back of any thing with an IEEE-488/GPIB connector, rather than an edge connector. The prototype is built and tested and is working well, so the boards have been ordered and I'll be building up the first versions later in the month. Dave Stevenson has product a chart showing the range of Pet SD card products currently planned, and which features they support. 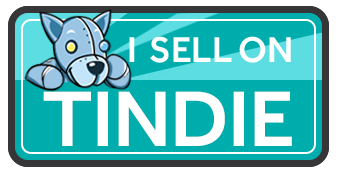 It is expected that all the new PetSD based products will be able to tick all the boxes on his CBM DOS compatibility chart. 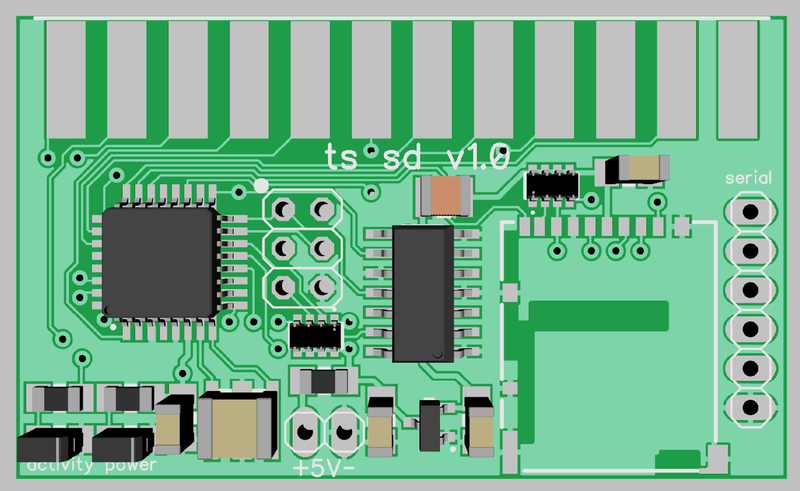 Also on the list is an updated version of the boards I original built with my own firmware, now called TS-SD to avoid any confusion.